The original design dates back to the early Fifties, when it was offered in single- and double compartment versions. The name lends itself to the “action” created by an air-permeable fabric lining in the bottom of the compartment. Unloading the car involves pumping air under the lining fluidizing the commodity which in turn is drawn out of the compartment by pneumatic or other means. This type of car was primarily used for sugar, flour, and starch (and sometime certain types of plastics). The subject of Atlas new models is one of the double compartment cars, the 4180 cubic-foot design. It was introduced in 1962 and through a number of design changes continued in production until 1980 when the taller 4566 cubic-foot design supplanted the 4180. During that time a little of 5,000 were built. 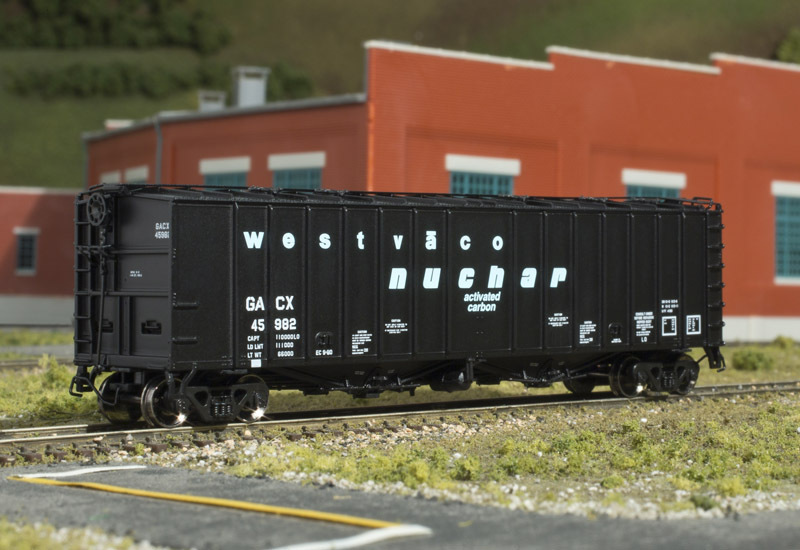 N 4180 Airslide Covered Hopper - New Model!